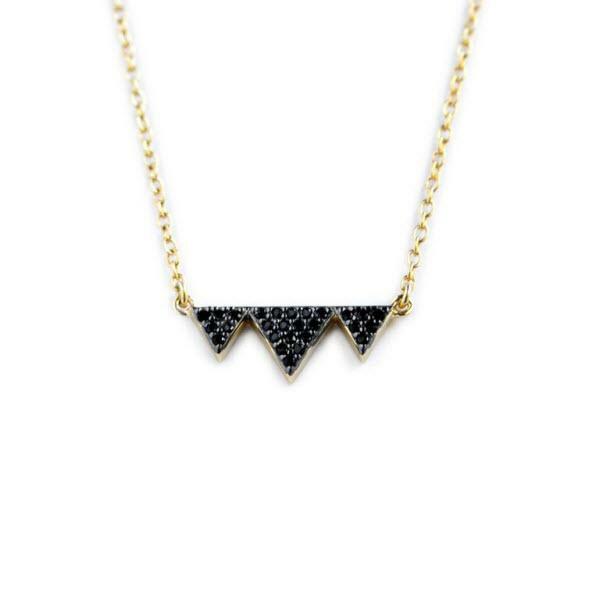 The triple triangle necklace with black czs looks great when you layer it with other necklaces or wear it alone. Ours comes in sterling silver with black czs, you choose 16 or 18 inch and you can upgrade to gold plated or rose gold plated. It also makes a great gift for any woman of any age.